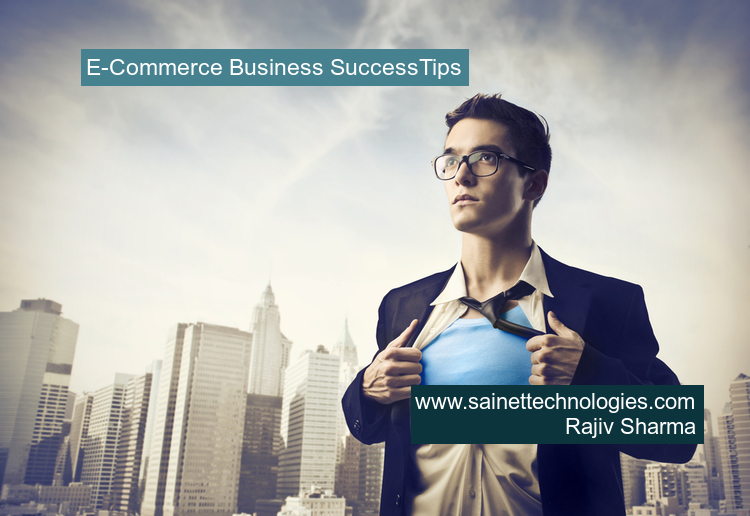 If you want to understand about starting an e-commerce store, visit our www.sainettechnologeis.com and understand more on this. As a e-commerce consultant I talked hundreds of people who want to startup a e-commerce website, I tell them that its very easy and you can make money easily, build an asset and reach your products global through Internet, but I also suggest my clients that its difficult because not everyone makes it out to be rich by a e-commerce. Ecommerce means having a showcase to sell your product but you need to have a good showcase and marketing team with a logistics and suppliers according to the trends and market. I have created and worked with dozen of different type of ecommerce portals over the last 3-4 years with satisfactory success and get six figures profit in a month and reached the traffic of more than 10,000 users per day. Yes now days running a ecommerce business is cheaper and easier ever before but it does not mean easy to succeed in the e-commerce business. You have to study the market and find out the right business market. Study the market need and come up with solution. Most people who are just starting out a e-commerce makes the mistake of looking for a product first and market second. Before coming up with product study the market. Study online forums, research the market, check potential competitors by visiting websites prices etc. Before starting a website, study the market, business products, logistics. Workout with product and benefits for users, offers, possible deals etc. Need to focus on products and services is uniquely able to solve people's problem or improve lives. Always think like a customer with a question "why i choose this?" Once you have got the market studies, hire a skilled e-commerce development company with knowledge of SEO and SMO to make the design according to the search engine understanding. Always gives priority to the simple design with white background, clear navigation and make it easy to buy features with minimum clicks. Pay per click (PPC) is a easiest way to get traffic for a new website till the organic SEO gives you the organic traffic. PPC ads on google gives you immediate traffic but do not forgot to start organic search results. Internet is mostly used for information, provide the information on other sites and blogs to get traffic and better search engine ranking. Give away free, expert information, videos and other useful content through articles directors and social media websites. Increase social network, friends and become a expert adviser in the industry. These practices give you branding and traffic to your website. According to surveys at least 36 percent people who have purchased from a website will buy again, if you follow up with them you will get the sale again. First sale is difficult so use back-end selling and up selling to get them to buy again. Give them offers through emails, Send loyalty coupons to redeem on their next visits and give a offers on the thanks page etc. Mobile users are increasing day by day and according to the study above 60% users prefer mobile apps over mobile browser. Push Notifications are one of the most important advantage of app, as long as customer keep the app on their phones you stay in touch with them, intelligent push notifications engage your customer and increase your sales drive, you are not worry to promote every time your products on search engines when they introduce app will gives the notification and user can see the products with doing google.